British Urban Collective is a free nationwide youth music project that empowers collectives of young people to write, record and promote their own albums for independent release under expert guidance. Over the past four years the project has been running in the capital as London Urban Collective, where more than 200 young artists have collaborated to produce several albums, a feature film, documentaries, music videos and dozens of live shows. This year British Urban Collective launched nationwide starting in 5 UK cities, including Glasgow, Manchester Hull, Belfast and London. August also saw the celebration of the International Kingslink Carnival at Kingsway Court in Scotsounhill. Resident filmmaking group, Kingsway Eye, were out in force documenting the events and atmosphere of the day and recruiting new members for future filmmaking workshops and campaigns. As a result of the FARE Film School and the two Weekend Film Schools which have taken place at the Bridge in Easterhouse, a regular filmmaking group ran at Platform since from April to June 2008. We look forward to resuming the filmmaking workshop programme in the late autumn. More information will be posted in due course. If you are interested in this opportunity, please contact us to express your interest. In partnership with Platform, Diversity Films worked with students from the Positive Behaviour group at Smithycroft School over winter 07/08. The students worked with Marie Olesen and Doug Aubrey from Diversity Films to make a film about the school to help students with the transition from primary school to secondary school. The film is now complete and is available for viewing on Diversity Films Vol#1 – our first compilation DVD. North Lanarkshire Leisure and Sidekix commissioned Diversity Films to make a short promotional film about their youth sports project, Saturday Sportscene. As part of the project, seven young people who take part in the Saturday night activities at the Tryst Sports Centre in Cumbernauld have also had the opportunity to gain training in filmmaking and helped develop the film project. Some of the group also took part in editing workshops at the Weekend Film School and have joined the Platform Film Group. The film is now complete and is available for viewing on Diversity Films Vol#1 – our first compilation DVD. You can also watch it on the Sidekix website. Kingsway Eye started in Summer 2007 after a series of workshops run by Diversity Films in partnership with Kingsway Health and Wellbeing Centre. The group meets regularly and makes films about local issues and activities as well as their signature project – community chat show, Get Real! Kingsway Eye is a diverse mix of people from around the globe with different levels of filmmaking experience and a wealth of different interests and ideas. If you live in or near Kingsway (or can travel) and would like to join the Kingsway group, contact us or drop into the Health and Wellbeing Centre and leave your details. Filmmaking training workshops kicked off in Wellhouse at the end of June 2007. The workshops took place at Innerzone Youth Club and the girls involved in the group spent their Monday evenings since the group started learning how to use Sony PD150 and PD170 cameras, record sound, shoot indoors and outdoors and generate ideas for films they can make themselves. The filmmakers also put their new found skills to the test at the Auchinlea Festival and Wellhouse Gala Day in August. Weekly training sessions New View are now finished. Keen filmmakers from the group now have the opportunity to take part at the new Platform Film Group. 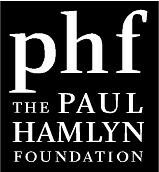 Community Filmmakers Project was funded by Scottish Screen, Paul Hamlyn Foundation and 4Talent.